As specialist automotive locksmiths, BrizSouth Locksmiths can replace, cut or copy a wide range of keys for cars, trucks and bikes. We provide affordable and efficient services at our professional workshop located in Tradelink Drive, Browns Plains. BrizSouth Locksmiths also provide a mobile service, which means we can come to you when needed .If you require the services of an automotive locksmith, there is no need for you to go back to the dealer, as BrizSouth Locksmiths will be able to provide everything for you. We service the southside of Brisbane, including Woolloongabba, Yatala, Ipswich and Beaudesert and all suburbs in between. The team at BrizSouth Locksmiths focuses on ensuring they always have the latest information and training when it comes to automotive locksmithing. With car key technology continually changing, we endeavour to always have the correct information and advice on hand. If you need transponder keys, BrizSouth Locksmiths can offer expert assistance as well as being able to supply new keys. Our mobile workshop also has the very latest technology, and can reset your Toyota ECU so you won’t have to replace it if all keys have been lost. We now can also clone Toyota G Chips (later model Toyotas) so you can have peace of mind by having a spare key cut. 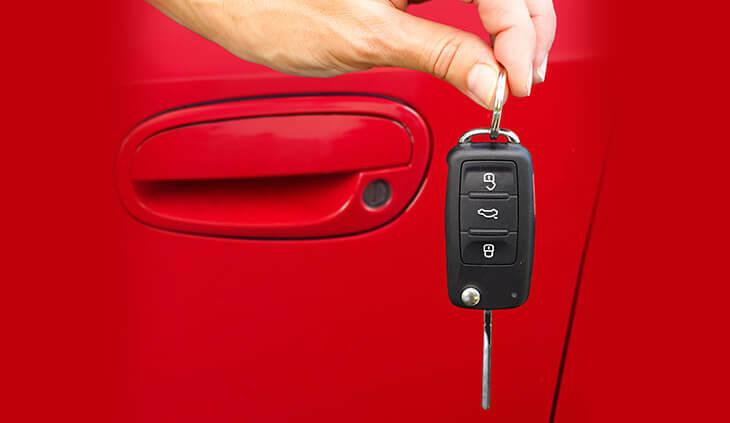 Most cars built after 1995 contain transponder chips, and our team can expertly replicate your keys, so you have a spare set as backup, or for multiple drivers to use. The word transponder is essentially short for ‘transmitter and responder’, with the key transmitting a message or code that the car responds to. This means that when you turn your key in the ignition, the Engine Control Unit (ECU) will only start the car if it receives the correct alphanumeric identification code from your key. To receive the code, the induction coil mounted around the ignition sends out an electromagnetic field of energy. The winding in the transponder then absorbs that energy and this powers the electronic chip to emit a signal back to the Engine Control Unit. If your transponder keys become damaged or you need new ones made, then make sure you contact BrizSouth Locksmiths for assistance. No matter what you need, when it comes to automotive locksmith services in Brisbane Southside, we’ll have the solution.